Rescuing and raising children in Christian homes, providing high quality education and connecting with like-minded community organisations and people. AIDS. Acquired Immuno-Deficiency Syndrome. For most people, HIV/AIDS is something that affects the lives of others and we struggle to relate to the overwhelming statistics that we hear. For a country of just over 56 million people, HIV/AIDS is an integral part of the lives of many South Africans. AIDS has taken away their sons and daughters; deprived them of mothers and fathers and left a country overwhelmed with orphaned children who are without basic love, care, or spiritual teaching and guidance. AIDS is real, it is devastating, and it is a threat to their future. Over 6 million people are living with HIV/AIDS – that is about 10%+ of the population of SA! Adults aged 15 and up living with HIV is between 5.7 and 6.2 million. Women, aged 15 and up living with HIV is between 3.3 and 3.7 million – these are the women who are normally the primary caregivers for children. Children aged 0 to 14 living with HIV is about 360,000. Orphans due to AIDS aged 0 to 17 is well over 2.4 million. Children were not designed by God to raise themselves or other children yet, child-headed households in South Africa are a major problem. Throughout the country, there over 150,000 households who are run by children. It is hard for us to imagine children, aged 10 or 11, attempting to raise their younger siblings. They are not equipped to get jobs, provide food, shelter, money for school fees, clothing, etc. The short term complications are obviously very difficult and these children are often exploited or in positions where they can be abused. When you consider the long-term impact on their education and lives, it is heart-breaking to know that their futures will be so different and difficult from what would be have been had they been in a family with parents. 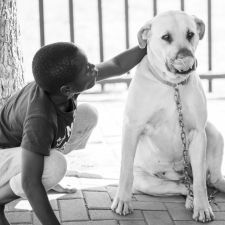 Bethesda Outreach is needed! Ultimately, only through the gospel of Christ will these overwhelming problems be overcome. Bethesda Outreach is passionate about rescuing children and placing them in homes with Christian Moms and Dads who will love them, teach them about Christ and the world, and point them toward becoming disciples of Christ and leading their own families in God’s intended way. Family is one of the core values at Bethesda Outreach. We believe that the biblical family is God’s design to train and nurture children, all of whom are created in God’s image. Because of this, up to eight orphaned children are placed with a family that includes a father, mother and siblings. The children are selected on the basis of need, and it is Bethesda’s goal to care for children who have no living relatives who are able to meet their needs. Bethesda employs national Christian couples who evidence spiritual maturity, are strongly recommended by their pastor and are actively involved in their local church. Prior to placing children in their care, Bethesda requires each couple to participate in a formal training process which covers many areas of biblical parenting as well as topics addressing the health & developmental needs of children. Each couple operates their home autonomously while relating closely with a houseparent supervisor who works to encourage and support the family. Bethesda’s school, Jabulane Christian Academy (JCA), exists to guide students in the discovery of truth. The school opened in January, 2004, and was registered by the Dept of Education in July, 2007. Jabulane Christian Academy’s student body is comprised of the children in Bethesda’s care, as well as staff children and students from the community. JCA currently has over 200 students in Grades R (Kindergarten) – Grade 7. JCA employs Christian teachers who are growing in their understanding of God’s Word as it relates to all aspects of life. The teachers encourage that God-given understanding among their students and challenge them toward a life-long pursuit of truth. 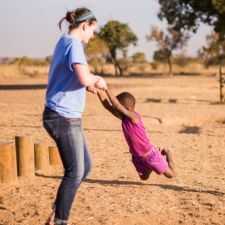 Bethesda’s Orphan Care Development has a two-fold goal, that of 1) encouraging others that reside in communities and countries in need to begin their own orphan care ministries, and 2) acting as a resource in training and guidance for orphan care ministry. 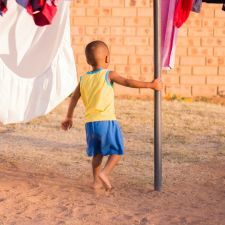 Bethesda forms relationships with churches and other organizations that can potentially begin their own orphan care ministries with some help and encouragement. Bethesda also seeks to be a resource in training and guidance, and offers frequent workshops on a variety of topics that are open to the community. Bethesda also has a more formal training program that is geared toward training Christian couples/workers who may be interested in caring for orphaned and vulnerable children. Bethesda is also willing to help individuals and churches/organizations to think through their own best options for carrying out a ministry in their area. Bethesda does not wish for the Children’s Village to be the fulfilment of its ministry, but rather, that it be a model that can be taken to other parts of the country to assist in relieving the crisis of care for orphans and vulnerable children. Bethesda is also seeking ways to get more involved in the establishment of community homes to impact a greater number of children.